Less than one hour after Uhuru Kenyatta was sworn in for a second term as Kenya’s president, opposition leader Raila Odinga spoke to his supporters, vowing that he would be sworn in as president on December the 12th. Not long after he spoke, riot police fired teargas at his convoy and attempted to break up the crowds that had gathered. 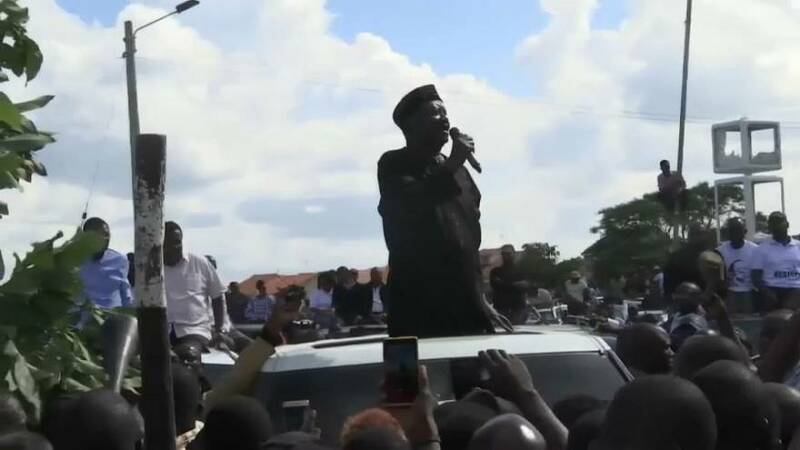 Odinga was pushed inside a vehicle and the convoy sped away from the scene.